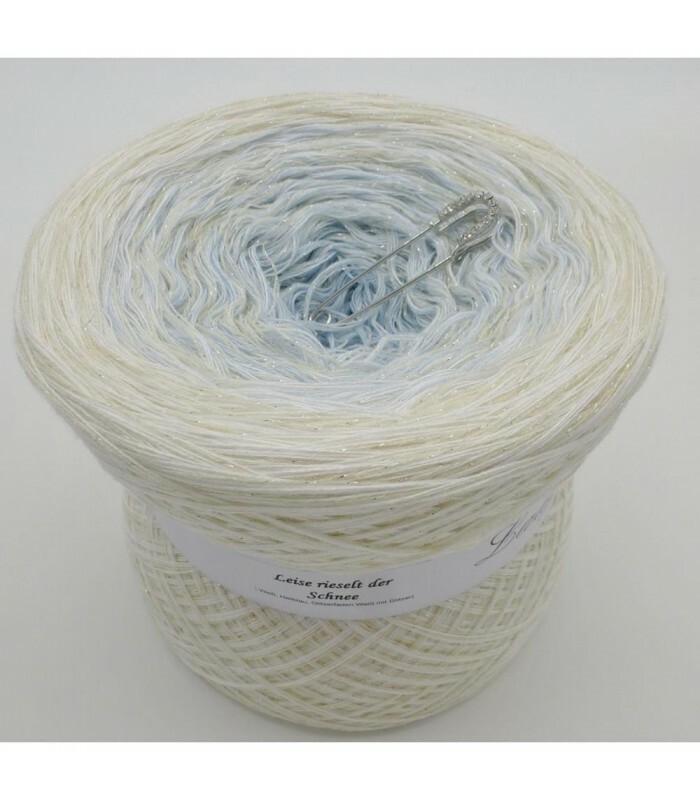 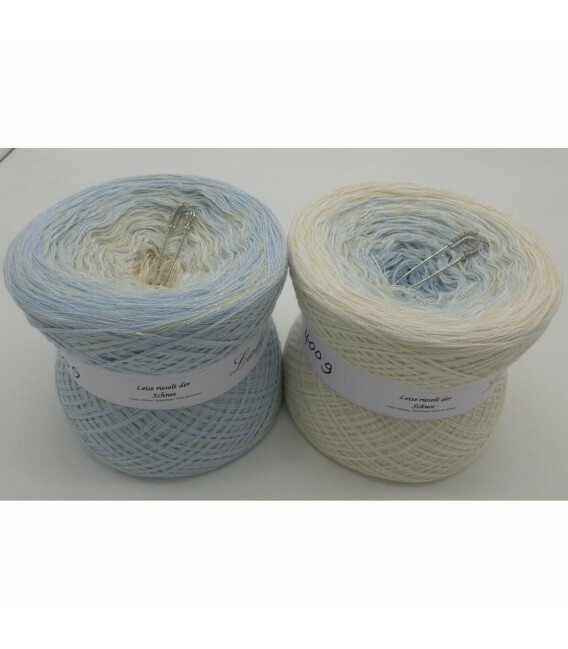 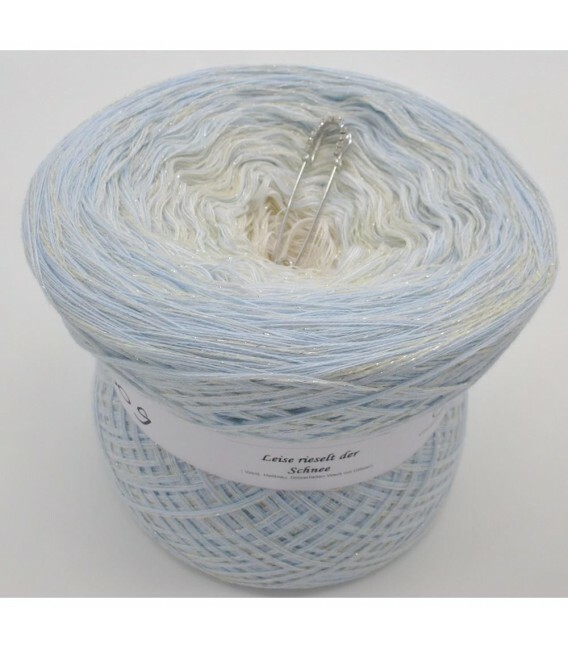 Leise rieselt der Schnee (The snow trickles softly) - 4 ply gradient yarn, 2 colors: white, light blue and a glitter thread runs through the whole ball. Fiber Content: 50% cotton 50% polyacrylic. 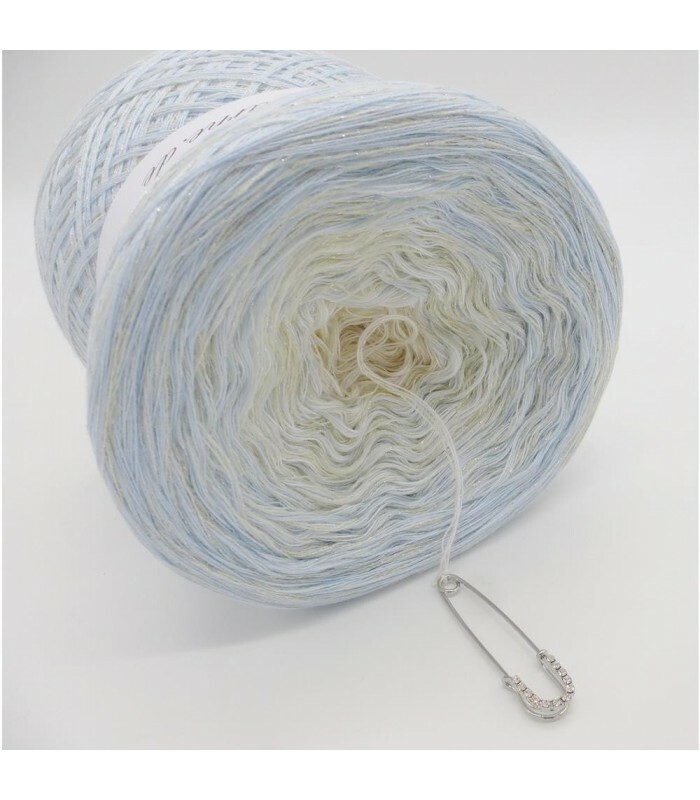 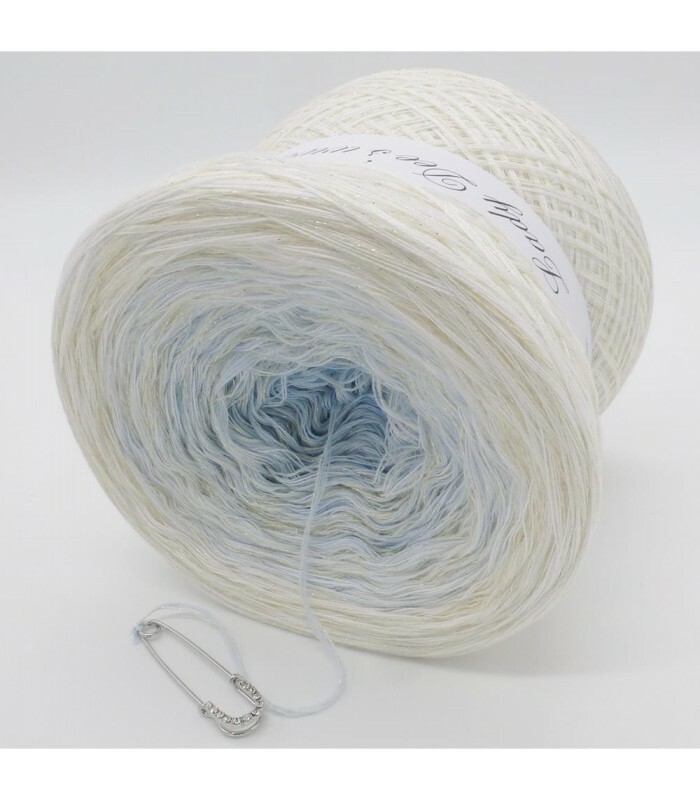 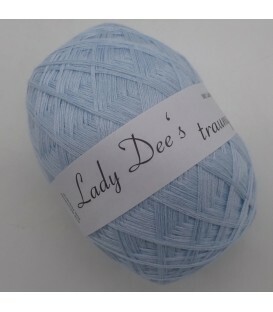 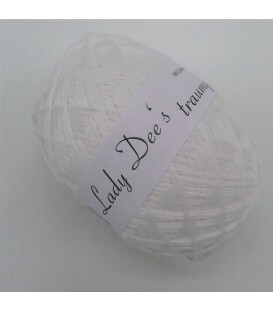 Color gradient: white, light blue and a glitter thread runs through the whole ball.